Clay Hopewell was sentenced to die. His crime: He somehow got infected with the ZERO virus -- a virus that either kills you outright or turns you into a zombie. The details of said virus, including which is more likely, are not really explored or discussed in The Chosen, the first installment in Jakob Tanner's Arcane Kingdom Online. It's just clear that having the ZERO virus is a death sentence. He can play a computer game. So goes the premise of our story. Arcane Kingdom Online is yet another entry into the emerging subgenre known as RPG Lit, GameLit, or LitRPG. And this appears to be Jakob Tanner's first novel. 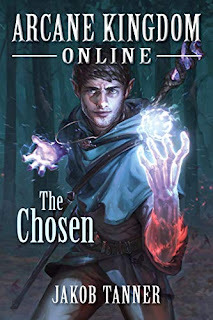 According to The Chosen's backstory, Arcane Kingdom Online was a massive multiplayer online role-playing game (MMORPG) that faded into commercial oblivion after decades of success. As far as the public is concerned at the beginning of Tanner's novel, AKO is defunct. But our protagonist, Clay, soon finds out that AKO isn't defunct. It just became a top-secret project pushing the edge of revolutionary technology. Those unlucky enough to contract the ZERO virus and who have the right connections are given the opportunity to "digitally reincarnate" in the online universe of AKO, leaving the cares and troubles of the real world behind. Facing certain death, Clay decides to take his chances in the game (even though, we're told, at the novel's beginning, there's a chance he won't survive the consciousness upload process). Arcane Kingdom Online provides a compelling, if not original, premise. And The Chosen hooked this reader in at the outset. And it kept me turning (or digitally flipping on my Kindle app) the pages until the very end. Among the things that Jakob does really well is he serves up a believable main character (MC) -- someone who is not overpowered (OP) and who experiences real danger. His opening sequence, complete with a "save the cat" moment that endears you to the MC :-), is quite compelling. It draws you into the story and keeps you engaged. At least it did for me. The writing quality is solid. There were no distracting typos or other such issues. It showed the work of an editor - or at least a good proofreading. And that's a refreshing contrast with many of the titles out there in this subgenre. There are a few minor shortcomings. First, I have mixed feelings about how little explanation is provided regarding the ZERO virus - the whole reason our hero gets uploaded into the game. On the one hand, not going into a lot of detail keeps the story moving. On the other, it makes the whole plot device feel cursory and contrived. (I understand that all fiction is contrived, but a good story shouldn't feel that way). One reason it feels this way is the whole ZERO virus thing is forgotten until the end. In my opinion (and some readers may disagree with me), the virus and the havoc it's wreaking on the earth deserve a little more attention throughout the story (maybe a few more system messages during the course of events in-game). Another is that a couple characters supposedly important to Clay are introduced in the beginning and then dropped. One would think Clay, however strained relations may be with them, would care about their fate. But, again, this is a minor concern. It didn't make the story any less enjoyable. It just made it a little awkward for me. Second, if the virus is threatening the earth with apocalyptic doom and if digitally uploading souls into a computer game is really a technologically workable solution, there should be a whole lot more interest in that option than the story suggests (at least at the beginning). 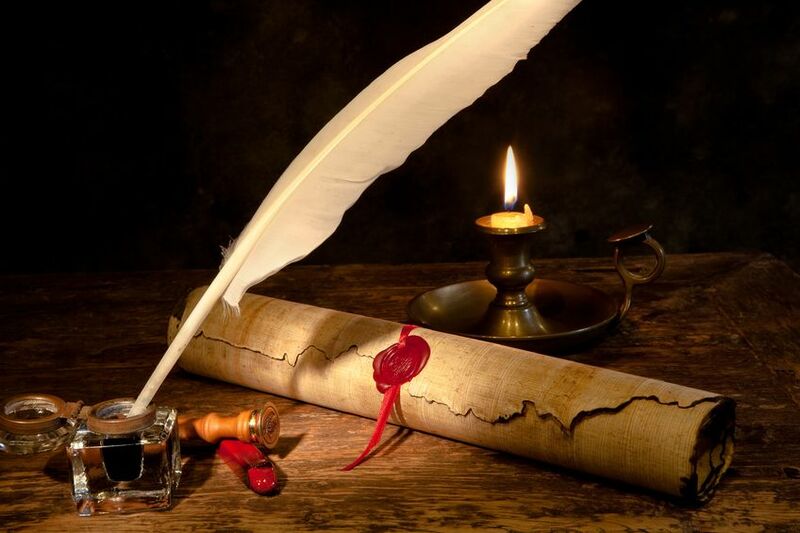 Third, if keeping the human race alive digitally is the goal, why (other than to serve the needs of the story) create a fantasy, medieval world full of danger? This is a common sense question that lots of authors playing with this kind of premise love to avoid. But it's a question that I couldn't get out of my mind considering the miserable situation the game thrusts our protagonist into at the very beginning of his online journey. If you're going to entice people to upload themselves (permanently, mind you) into a game, why not offer them the opportunity to endlessly enjoy virtual beach resorts rather than be a prisoner marked for death? But maybe that's just me. Finally, I should point out, as I must with virtually all the novels I review, this is not a Christian fantasy. Many of my readers don't care about that or prefer it that way. But many of my readers do care, and that's why I feel the need to mention it. So, if you're looking for an overt Christian fantasy novel, this is not it. And if you're looking for a novel free of any objectionable language, this isn't for you either. That said, The Chosen contains no objectionable sexual situations and is thankfully free from the harem craze that has unfortunately infected so much of this subgenre. I therefore give it props for that. With all the above said, I want to make clear that I found the story quite enjoyable. 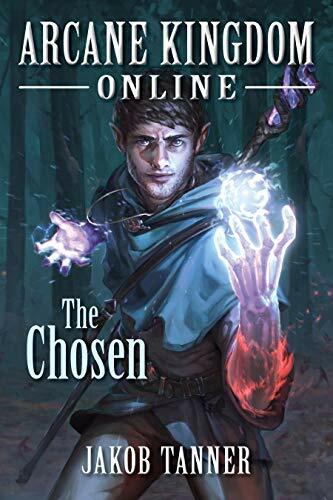 I don't want any of my objections above to call into question the fact that I do recommend this novel to anyone who enjoys LitRPG / GameLit reading. It succeeded where novels matter most: It entertained me, and kept me reading to the very end. Thus, not only do I recommend the story, but I look forward to the author's second installment. Christianity & Fantasy: Is it Wrong to Read Fantasy Literature?